By the end of Year 9, students explain chemical processes and natural radioactivity in terms of atoms and energy transfers and describe examples of important chemical reactions. They describe models of energy transfer and apply these to explain phenomena. They explain global features and events in terms of geological processes and timescales. They analyse how biological systems function and respond to external changes with reference to interdependencies, energy transfers and flows of matter. They describe social and technological factors that have influenced scientific developments and predict how future applications of science and technology may affect people’s lives. 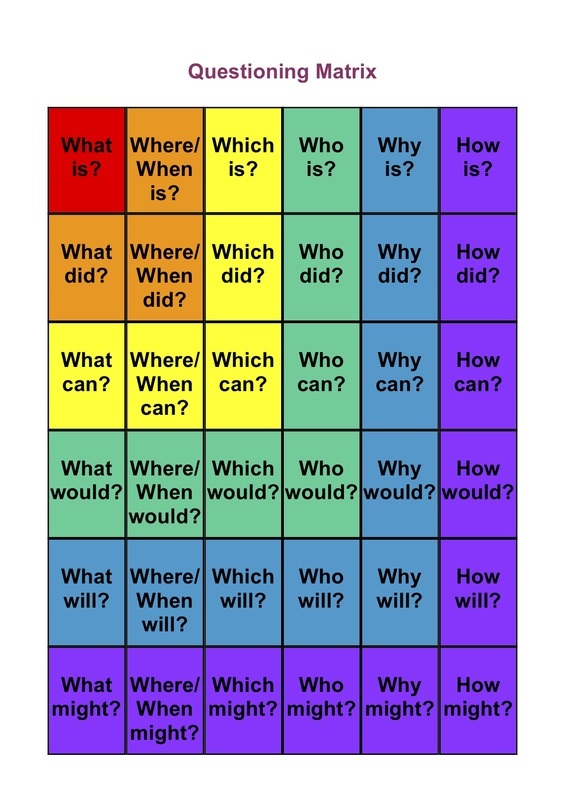 Use The Questioning Matrix below to help you formulate questions when viewing videos or conducting research.